The new Sea Dragon 3000F is the most powerful photo-video light in its size/weight class, delivering 3000 lumens in an even 120° wide beam. The 3000 features SeaLife’s Auto Brightness, Flash Detect and two red LED’s for night diving. SeaLife Underwater Cameras are made by Pioneer Research in Moorestown, NJ and were first introduced in 1993. In 2000, SeaLife developed the world’s first digital underwater camera. In 2013 SeaLife introduced the powerful and universally fitting Sea Dragon range of underwater lighting and its innovative Flex-Connect tray, grip, arm, and accessory system. In 2014, SeaLife introduced the Micro HD, the world’s first permanently sealed underwater camera, followed by the new Micro 2.0 in 2015 and the cutting-edge DC2000 underwater camera for 2017 and beyond. SeaLife cameras, lighting and accessories are sold and serviced in over 60 countries around the world. The latest generation Bridgelux COB LED array emits a warm 5000K color temperature and 80 CRI (color rendering index) adding vibrant colors and brightness to your underwater pictures and videos. The warm color and lumen performance is especially important when shooting underwater with today’s sophisticated digital cameras that by design function best in natural sunlight. Whether shooting still images or videos with an action camera or DSLR camera, or a dedicated underwater camera like the SeaLife DC2000, the Sea Dragon 3000F adds the warmth and brightness for vibrant and colorful images. 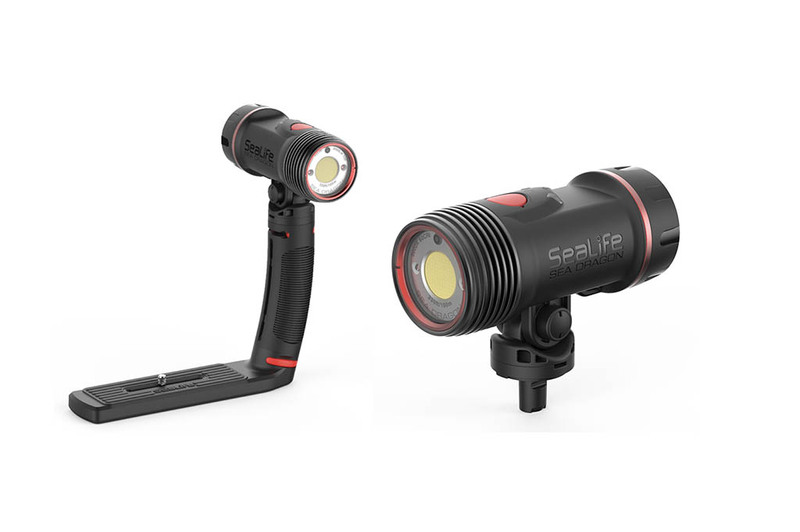 For even wider and more impressive area coverage, SeaLife will offer the Duo 6000 Light Set, which includes two of the 3000 lumen lights on two grips attached to a dual tray and packed into a padded, protective travel case that can also accommodate a camera. The Sea Dragon 3000F underwater COB LED light will begin shipping in November 2018 in time for the holiday season.